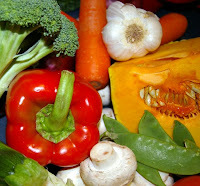 You got the list of top antioxidants foods in the post Foods Rich in Antioxidants- Part I. Now read about the other foods that are also rich in antioxidants. These are very common foods but we do not, somehow, understand their value. Read on the following details about the rich sources of antioxidants and know how you can get health benefits from them. Garlic: It is one of the best culinary herbs that protects against cancer, heart diseases and harmful ageing effects. A study also states garlic to be effective in preventing and treating cardiovascular and metabolic diseases. It also has anti-inflammatory and antibacterial properties. Add garlic in foods as a routine. Add them in gravies, sauces, pickles, soups, etc. Red Grapes: These grapes contain resveratrol, an antioxidant that helps in getting rid of free radicals, reduces platelet aggregation and keeps blood vessels open and unobstructed. A study has also founded that the antioxidants in red grapes inhibit many critical factors leading to atherosclerosis which occurs due to cholesterol build-up on the arterial walls. This condition results in blockage of blood vessels that supply blood to heart and brain causing heart attack. Grapes also have bioflavonoid named quercetin that stimulates the immune system when combined with vitamin C.
Green Tea: The high concentrations of antioxidants polyphenols in green tea neutralize the free radicals that occur due to external factors like UV rays of sun, cigarette smoking, and pollution. It also reduces cholesterol. Green tea also has anti-carcinogenic effects that protects against risks of cancer due to environmental factors. Consumption of 3-4 cups of green tea everyday is really beneficial to health. Raisins: Naturally sweet raisins contain phenolic antioxidants. Raisins give energy from natural sugar and also potassium that maintains normal blood pressure. Raisins are rich in tartaric acid which helps in digestion and in maintaining healthy colon. They are also rich in fibers. They als oincrease the plasma antioxidant capacity of body which in turn decreases the levels of oxidized LDL or bad cholesterol in body. The minerals in raisins keep the bones strong. They also have olenolic acid that fight the mouth bacteria causing cavities. Add raisins to sweet dishes or other dishes like fried rice etc.